As you can probably tell, I succumbed. The phrase "30% off" really doesn't go unnoticed - I work in retail, for crying out loud. I've learnt to prepare for sales for a while now. And preparing for sales, albeit stressful, is somewhat worthwhile when you see people enjoying them. So I paid myself back for these occasions/endless sale-preparations...I guess? That's the justification I'm giving for the time being. To put it quickly and simply - I splurged. Hence the title. 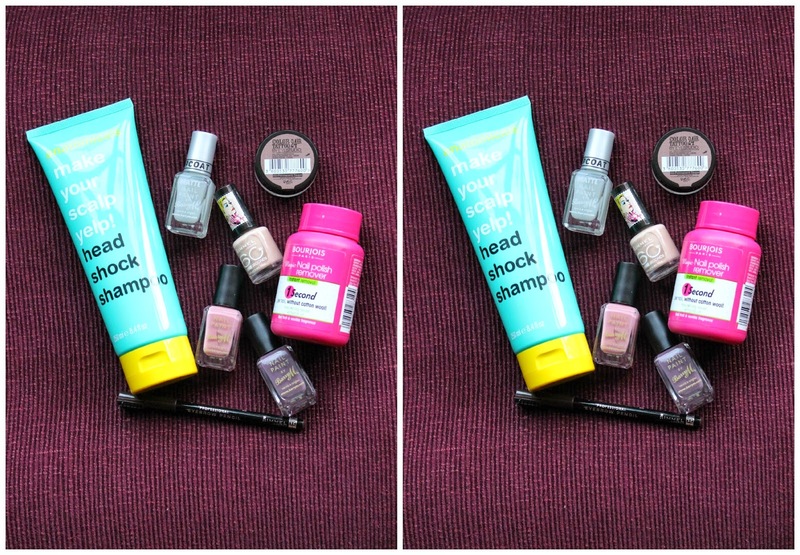 In my books, an eight-item spree is a not-so-small beauty haul. I'm usually good and restrict myself to only a couple of things. Also, as a retail worker and student I don't exactly have cash flying left right and centre. But as soon as that discount comes into action I get excited, which leads to inevitable spending. Luckily, this 8-strong collection totalled a mere eighteen Great British Pounds, so for that I am totally not complaining. I've listed the items along with their current prices, which unfortunately aren't all as good as they were a week or so ago! No worries though, ASOS are the best when it comes to sales and I bet their post-Christmas setup will not disappoint. Are any of these on your Christmas list?